Can You Hit the Curveball? Spring is coming…very slowly, but they tell me it’s on its way. With spring comes baseball and lots of sunshine and fresh air. I can’t wait. I admire Major League baseball players for their skills and their devotion to mastering a very difficult sport. Most ballplayers start early by learning to hit the ball. They say that most ballplayers can hit a fastball, and what separates the average hitter from the very best is the ability to hit the curve-ball…or the slider…or any off-speed pitch. It’s the same with dentists. Most can hit the fastball…the low hanging fruit, but only the best can hit the off-speed stuff. Major League dentistry is mostly curve-balls – from tough technical cases to tough patients, if you want to succeed in dentistry these days you must hit the curve ball. Like learning anything it all starts with the fundamentals – hitting the fastball until proficiency develops and then adjusting to circumstances. Just like driving a car…paying conscious attention to every detail until driving becomes automatic. That’s why I get concerned when dentists ask me if I recommend doing a comprehensive examination on every patient. I never flinch—my answer is always “yes.”I wrote that 10 years ago in The Art of Examination, and my reasoning holds true today, even though the business of dentistry has changed. The comprehensive examination is the fastball. It must be mastered before it can be altered. If you watched me bring patients into my practice you might question “how” I do that…you might say it doesn’t look like what I wrote…but it is. I have earned the right to alter it by doing thousands of exams-and if you really watch, they may all look a little different, but I accomplish everything I need…nothing gets left out…I just adjust for the various curves the each patient shows. My examination process, at this point, is a habit. It’s automatic. That is the biggest reason I tell dentists to do the exam on every patient…so it becomes a habit…for them and the staff. When everyone is on the same page, the examination process becomes the culture of the practice. The collective mind of dentistry has devalued the examination process…and that’s a big problem today. Dentistry has changed and dentists meet all kinds of resistance everyday. Creating alternate treatment plans, and completing treatment over time are acceptable ways to help patients accomplish their goals. As I said before the examination is your best opportunity to get to know and understand your patient. The goal doesn’t have to be to “sell” them all the dentistry you can…the goal is to know and understand how you can help them…now, and in the future. It’s worth the time investment…I guarantee it. It’s a win-win. The examination is the source of all meaningful dentistry. If I have learned one thing in forty years of practice it’s that no two patients are the same. They come to you with different needs and circumstances. Your job is to figure out the puzzle—the dental puzzle and the human puzzle. Patients are the curve-balls and we must learn how to adjust. I have been hitting curve balls, and hitting every one of them over the fence since day one. I guess you could say that is my specialty. I do not get tripped up on anything. That’s pretty good because I sit on curve balls all day – that what makes dentistry so tough. Interesting analogy. As a baseball fan I looked up some stats and found that 60% of MLB pitches are fastballs. Sliders 20%, Curve balls 11%, Change ups 11%. So from a business perspective do you focus on the 60% or the others? Well, when you look at complex restoration cases, you are dealing with a plethora of issues like cost,risk, expectations, etc from both the dentist and the patient. Complex restoration cases are the least accepted by the patient, carry the most risk, and are not the most profitable. The economic profit would be based upon the profit generated/ your time. Developing treatment plans can contrast with the patients wants and needs. Indeed, one could become really efficient with processes and systems if you get curve balls referred to you everyday. In that case, then you are truly the exception. If I had it to do again? I would get really, really, really good at hitting fastballs. There is always a place for the complex cases. However from a cost-benefits stand point, I would spend my time being profitable. Unless those types of cases “are” your fun, but then that’s a hobby more than business.That’s about you not your patient. Just a different perspective. Probably not a popular one here. But then again, I have always been the outlier. Wow–what an analysis Joe. Actually I was thinking about learning to hit the curve-ball. It starts with, like you said, mastering hitting the fastball so that we can even recognize the off-speed stuff. Dentistry is so complex that the pitches all look different because evry case is different from a technical as well as a social point of view. Success today, requires the dentist to master all aspects of the case. Sounds like your business degree is paying off. Baseball is a lot more difficult than dentistry… Seems fairly common in dentistry just go with the old “swing batter batter”. Okay Roger–here we go. Baseball is more difficult—for Little Leaguers or even minor leaguers…but not for Major League ballplayers. To extend the analogy—after dental school we are in the big leagues. People pay us to do our best. We’re professionals. You hit upon a pet peeve of mine—dentists who think this game is easy. There is an expression—Once you think you’ve arrived—that’s when you begin your descent. Even professional baseball players would never say that baseball was easier than dentistry or any other profession…think about that one. Professionals perform and act with a certain aplomb–they make it look it —not so in dentistry…and that’s too bad. Work on your fastball buddy. Pet Peeves, that’s another topic. For some, this dentistry is pretty easy. For professionals, be they dentists or ball players, its supposed to be reasonably easy after a while. The really good ones just start out at a higher level. To be sure, one has to always stay vigilant. But cutting teeth and handling the idiosyncrasies of people does get easy , though it may not always be enjoyable. Most ball players never practiced dentistry, but some dentists have played ball. And if that is all you do is think you have arrived, possibly, that adage about beginning the decent may apply. I believe one should not be ever thinking they’ve arrived, as it were. That is why I say it is easier to cut teeth. Okay? As for baseball, if you do not perform, you get traded, or sent to the minors, or become a bench warmer. 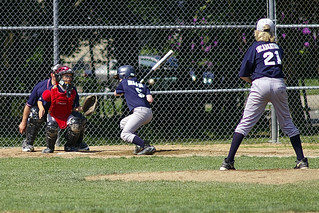 If you miss a pitch, you know it by the ‘pop’ in the catcher’s mitt. There are no catchers in dentistry. Once graduated and license, the coaches are non-existent. The players just often swing away…. I’ve made a career of FOPFU dentistry, so I know, there are many who should be traded or sent to the minors or be bench warmers. Or, they maybe never have should of been sent to the majors, maybe never even chosen the career? It’s incredible! Yes, yes, as licensed dental practitioners, we should be professional and we should be aware of our performances. But that is often not the case. Just offering a perspective that is either not known, or if it is known, it is rarely discussed. Yes sir, we are supposed to be professionals. And I hit every pitch that comes my way , sir. Fastballs, well, they are a no-brainer, as the saying goes. Just be sure you run the base paths correctly after the hit…They are not always home runs, but they are never singles or doubles at this point in the career. One has to have a shrewd sense about them and a keen eye to hit every pitch satisfactorily. And, as professionals in cutting teeth, we should be hitting to the fence after a short time span. That’s all I’m saying. I agree with what your saying — my main point is that improving and succeeding in dentistry should not be taken for granted—it’;s a tricky business and it’s complexity should be respected. 1o-4 on that Barry! Complex it is, tricky it can be! And, if I may add, if any practitioner starts to take it for granted, it may be time to hang up the hand piece, as the saying goes. I guess that is where the “thinking one has made it” illustrates that point? Good Tao forum sir, by the way. Baseball is way harder than dentistry. How many MLB players are there vs Dentist! There is a major issue with dentistry. Dentists like Roger and Barry are invisible. There are literally too few specialty’s in Dentistry. Roger stated he should be a specialist. Well there are tons on great dental patients with issues that go untreated because only 10% of dentist would recognize and treat those issues. Dentists are prohibited from marketing to consumers as far as training, experience and knowledge by state licensing agencies. Complex cases in theory are in the realm of Prothodontists but most dentists can count on one hand how many patients they refer to them. Why? they either do not recognize the cases or they are experienced and trained well enough to treat the case themselves. Most prosthodontist get referrals from other specialists or directly from consumers. Yet 15 years of a Pankey, Spears, LVI etc training carries more real value then 2-3 years post graduate training and a board licensing exam. I question the validity of prosthodontics. I believe it is outmoded and archaic. Maybe GP’s should get an extra year or two of clinical training? So how does highly trained dentist succeed? A truly charismatic ambitious Dentist could solicit referral for these patients from other dentists. Doing local CE events on recognizing those cases. Marketing and PR to local dentists that you are symbiotically working with them. It can be done and it is done. If you have to wait until a patient calls, makes an appointment, shows up and sits in your chair before you can even make them aware of their issues, then how can you truly succeed? @Joseph Salkind: You make some excellent points and observations just on that prosthetics topic alone. I concur with it largely. We could have a long conversation on such topics. Removable prostethics, in particular, are often avoided by G.P.s, or just not done well. You have some interesting ideas on how to handle that… I wonder if they would work? But absolutely right about being able to “recognize” a concern. Providing appropriate and long-lasting and well accepted and comfortable solutions for those alone is out of the realm of some. I believe lots of concerns like this that we speak of in dentistry as clinicians comes simply from those not ever taking it serious enough, or having enough interest to learn the fundamentals of this or that aspect of dentistry. So they never even obtain that knowledge on which to build. Too many get an easy pass and dive in. When they get hit with such curve balls as Barry describes, they strike out!